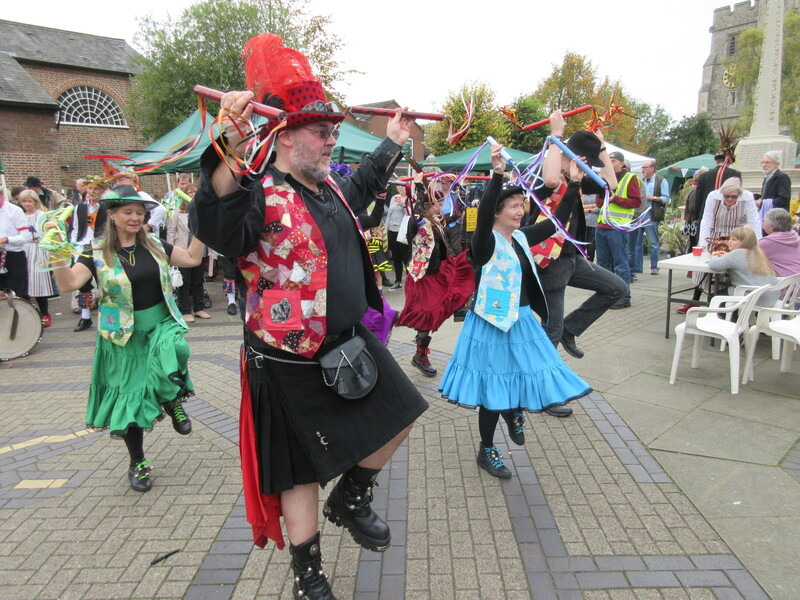 New Moon Morris was formed at the end of 2014 and we started ‘dancing out’ at the beginning of 2015. We now dance locally as well as at big festivals further afield. Anywhere from pubs to museums. In the spring and summer we are ‘dancing out’ most weeks. We particularly love to the opportunity to dance with other sides. We began in the ‘North West clog tradition’ dances but now are adding other dances from other traditions, as well as making new dances of our own. The side welcome new dancers and musicians. Dancers are encouraged to develop their musical skills and musicians to learn some of the dances. We practice most Tuesday evenings, from 8.15 to 10.15 at the Old Town Hall, Ivinghoe, Buckinghamshire, LU7 9EP. You are very welcome to come along and meet us, but as we are sometimes away dancing, it’s advisable to check first. If you would like to come along to see us, use the ‘Contact’ page or meet us at one of the events, posted on the Events page. Our band sometimes performs on its own, providing music for a variety of events— from pubs and ceilidhs to canal festivals. Copyright © 2019 New Moon Morris. Powered by WordPress. Theme: Spacious by ThemeGrill.